In the 2010 Census, the city and county of San Francisco -- the only consolidated city-county in California -- had 805,235 people, a 3.7 percent increase from 2000. That's a lot of people crammed into only 47 square miles, but it's not as many people as Scott Sigler envisions in his horror novel "Nocturnal" (Crown Publishers, 576 pages, $26.00). The Census people left out the underground residents of San Francisco -- mutants and monsters called "Marie's Children" -- living in tunnels under the city. They're hunted by a shadowy, caped crusading vigilante, and the whole scary ugly mess has been covered up for decades by San Francisco Chief of Police Amy Zou and her subordinate Rich Verde. Vigilantes have a storied tradition in San Francisco, which ballooned from a village of 1,000 people called Yerba Buena in 1848 to 25,000 next year as the Gold Rush drew people from all over the world to California. It continued to be the fastest growing city in the country -- reaching 150,000 by 1870 -- and there was minimal police presence. The mother of all Neighborhood Watches was created in 1851 by the San Francisco Committees of Vigilance, which became a popular political party. (link: http://en.wikipedia.org/wiki/San_Francisco_Committee_of_Vigilance). 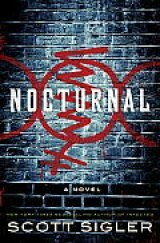 "Nocturnal" starts out as a police procedural, as SFPD Inspector Bryan Clauser and his partner Lawrence "Pookie" Chang investigate the death of disgraced former Catholic priest Paul Maloney, a convicted child molester. Something's amiss with his death, particularly the strange odor emanating from his body. His body has been urinated on by his killer, but the odor is not just from that act. Clauser and Chicago-born Pookie are warned away from the investigation by Chief Zou. Despite this, they continue to encounter the mysterious caped vigilante and the bodies pile up. Clauser and his girlfriend, Dr. Robin Hudson, a rising star in the city's Medical Examiner department, have broken off their relationship and the irrepressible Pookie is determined to bring them together. But Bryan Clauser suspects that all is not right in his world. He's losing his mind, unable -- or unwilling -- to explain his dreams that foretell the serial killings taking place in the City (that's how people in the Bay Area refer to San Francisco). He's excited, not disgusted by the murders and the efforts of the killer of the killers. It soon becomes apparent that the victims of the serial killer -- or killers -- are people who've bullied 13-year-old Rex Deprovdechuck. Alex Panos, the biggest of the bullies, is the leader of the pack that torments Rex, who lives with his mother Roberta. She's not a candidate for the Mother of the Year, belittling Rex and telling the scrawny youth to fight back. "Nocturnal" is a panoramic novel, portraying an alternate universe that dates back the Gold Rush era. Many of the ships that brought gold seekers to California were abandoned as their skippers hustled off to the gold fields. Eventually the wooden ships were buried by landfill that expanded the skinny peninsula, providing space for the burgeoning city. At least one of these sunken ships plays a role in the underground world of the City by the Bay. In a telephone interview as Sigler began his author tour, he said the inspiration for "Nocturnal" came from the homeless people he saw throughout the city, including his own neighborhood, Polk Gulch. "With their blankets covering them, the homeless people became as invisible as hunters in a blind," the Michigan native explained. He grew up in Cheboygan, Mich., a working class city at the tip of the thumb, on Lake Huron, where his father was the high school football coach. "Nocturnal" is his first novel set in San Francisco. During his pre-writing reseach, he learned about the tunnels that honeycomb San Francisco and the buried ships -- using them as key elements in the novel. "I'm interested and fascinated by science and I have friends who helped me with the intricacies of genetics which Robin Hudson explains to Bryan and Pookie, " Sigler added. To say more would be a spoiler, but if you're a fan of police procedurals from Michael Connolly, Elmore Leonard or Joseph Wambaugh and you miss the bio-tech science fiction of the late, great Michael Crichton, you'll find "Nocturnal" a treat. Warning: like his previous novels, it's not for the faint of heart! Sigler told me that he was influenced by both Stephen King and Wambaugh when he began writing his previous novels. 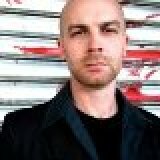 In addition to his novels, "Ancestor," "Infected" and "Contagious," Scott Sigler is the co-founder of Dark Øverlord Media, which publishes his Galactic Football League series ("The Rookie," "The Starter," "The All-Pro" and "The MVP"). Before he was published, Sigler built a large online following by giving away his self-recorded audiobooks as free, serialized podcasts. His loyal fans, who named themselves "Junkies," have downloaded over eight million individual episodes of his stories and interact daily with Sigler and each other in the social media space. Sigler reinvented book publishing when he released "Earthcore" as the world's first "podcast-only" novel. Released in twenty weekly episodes, "Earthcore" harkened back to the days of serialized radio fiction. His innovative use of technology puts him at the forefront of modern-day publishing and has garnered brand-name exposure among hundreds of thousands of fiction fans and technology buffs. A Michigan native, Sigler lives in San Francisco with his wife and dog.